At Chapelli's Spaghetti Bar and Restaurant we never close! We are fully licensed 24 hours a day, offering Italian Cuisine and Casual Dining. Located in busy Chapel Street, Melbourne's very own fashion Mecca. 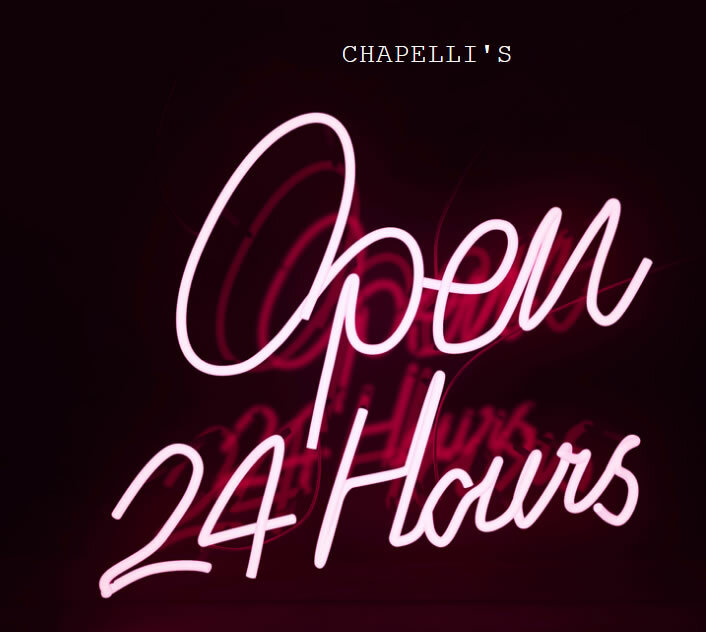 Whether you are shopping or clubbing Chapelli's is always open.